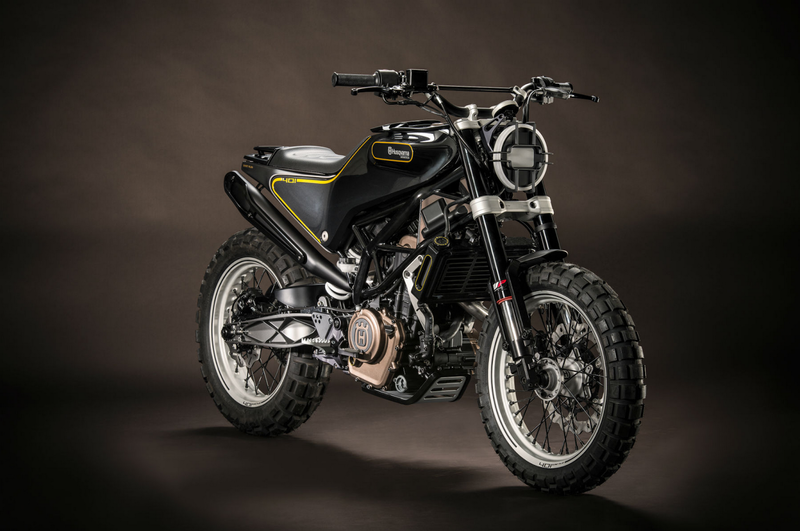 Husqvarna confirmed production of the 401 Vitpilen, cafe tracker, and 401 Svartpilen, adventure dualsport. 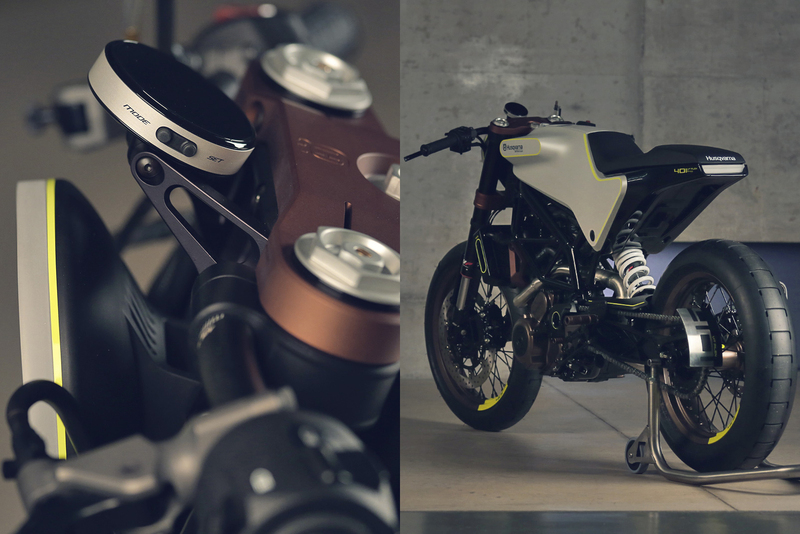 For 2017 the next step will be realized with the arrival of the first two VITPILEN production models. 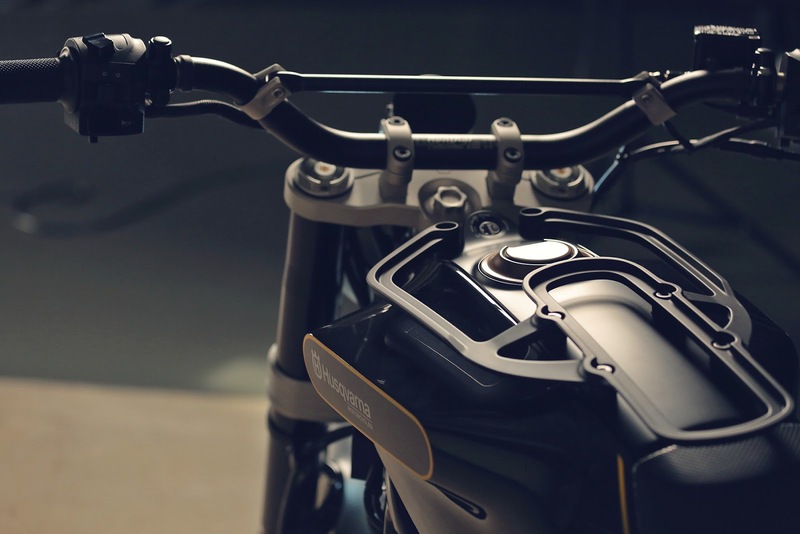 A strong commitment to continuing the long tradition of progressive thinking and pioneering actions will be reflected as much in the creation of leading motorcycles, as it will in outstanding ways of identifying, satisfying and engaging with the rapidly- expanding customer base. 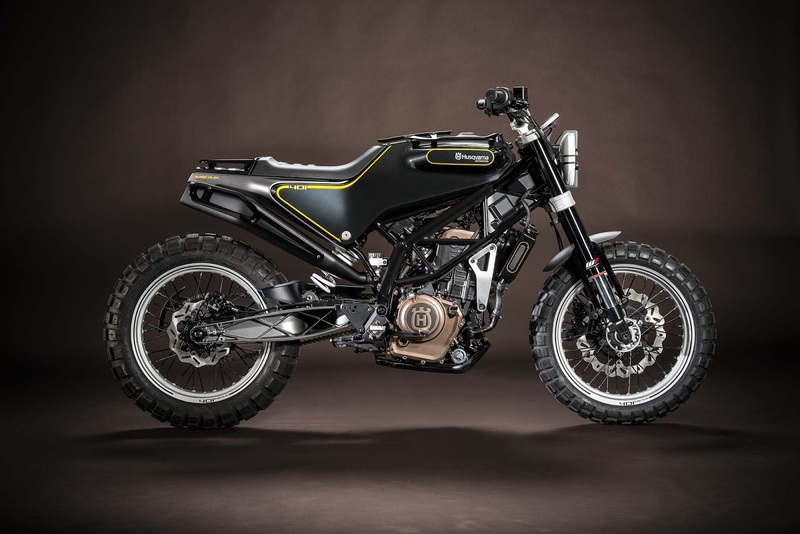 Pioneering will continue in every area of the Husqvarna Motorcycles brand. 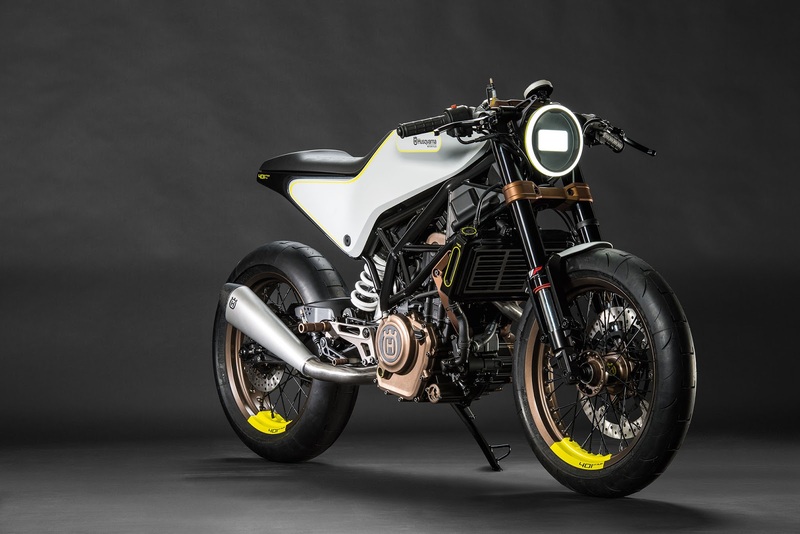 As a first step, the upcoming segment-redefining VITPILEN and SVARTPILEN production models will set Husqvarna Motorcycles on a blazing trajectory to become Europe’s third-largest motorcycle producer – with the aim of doing so by 2020. 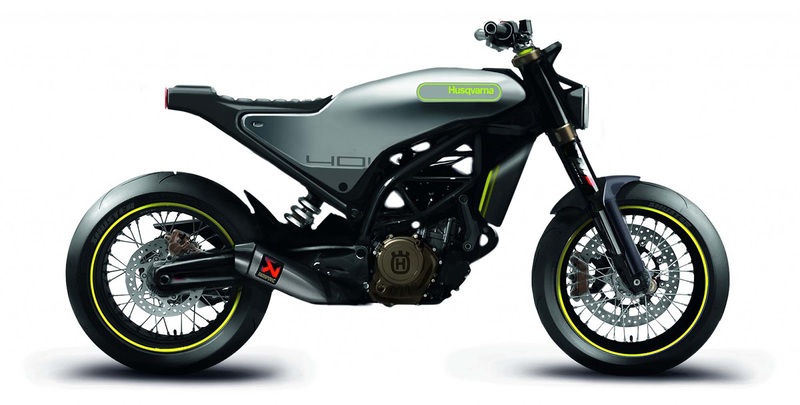 The white arrow is a very street tracker with cafe roots and a retro feel. 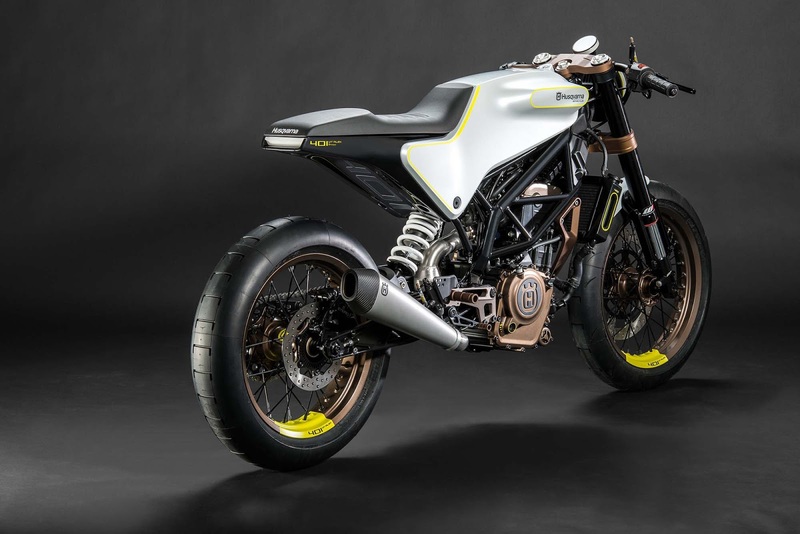 The Vitpilen uses a lot of components made of aluminum and magnesium to keep it light. Power comes from a state-of-the-art 400cc water-cooled single that makes 43 hp and is more than a respectable amount of power for the claimed 297 lbs. 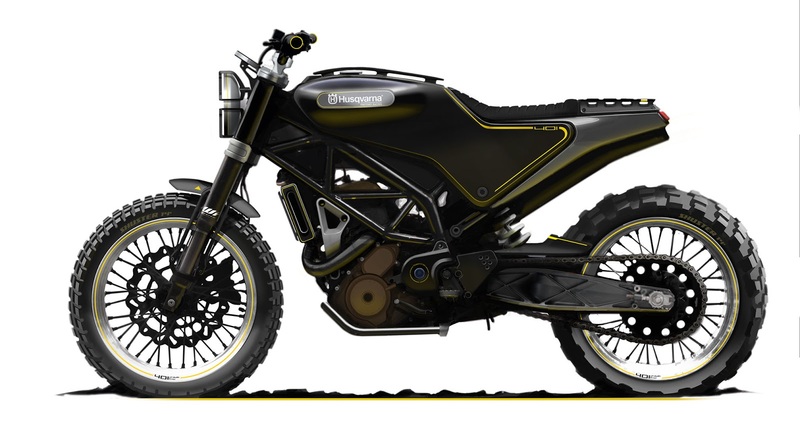 The black arrow on the other hand is a scrambler type of bike and you can immediately tell judging by big blocky tires. 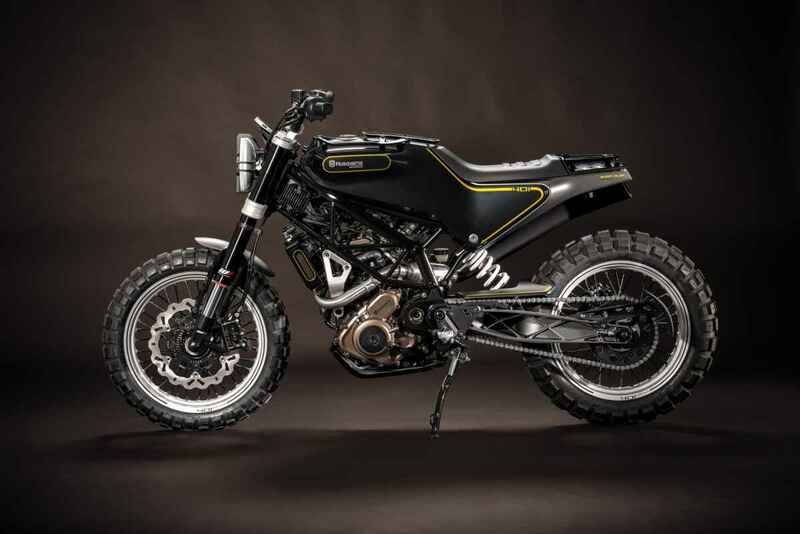 Even though it’s a scrambler the 401 Svartpilen looks elegant, exuding class and style. 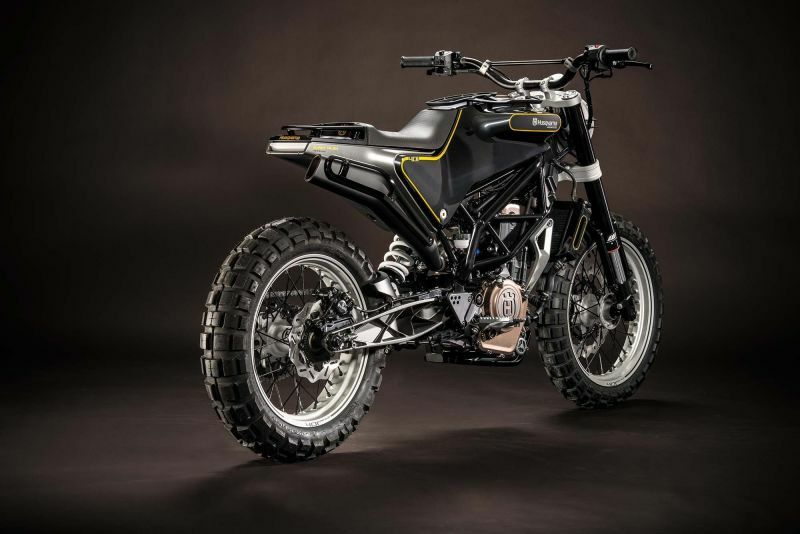 The spoked wheels and its lightweight construction seem to point out to off-road capabilities. 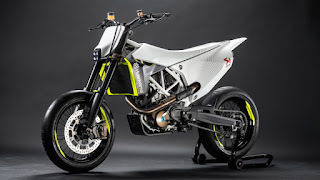 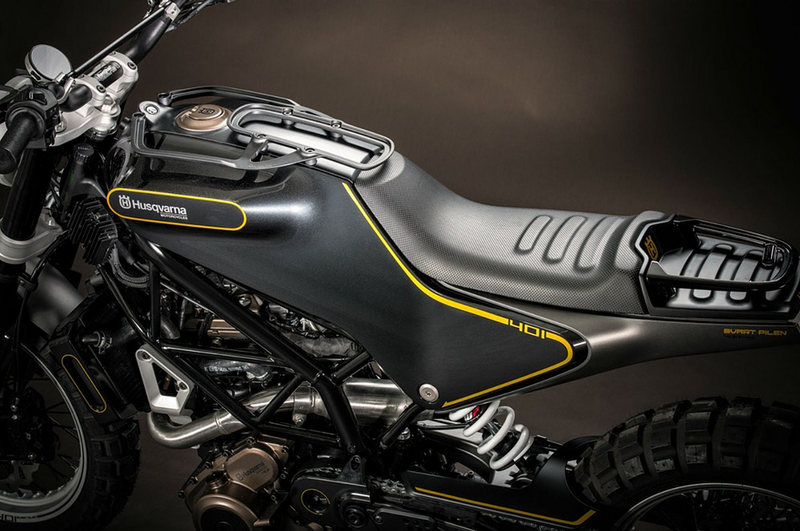 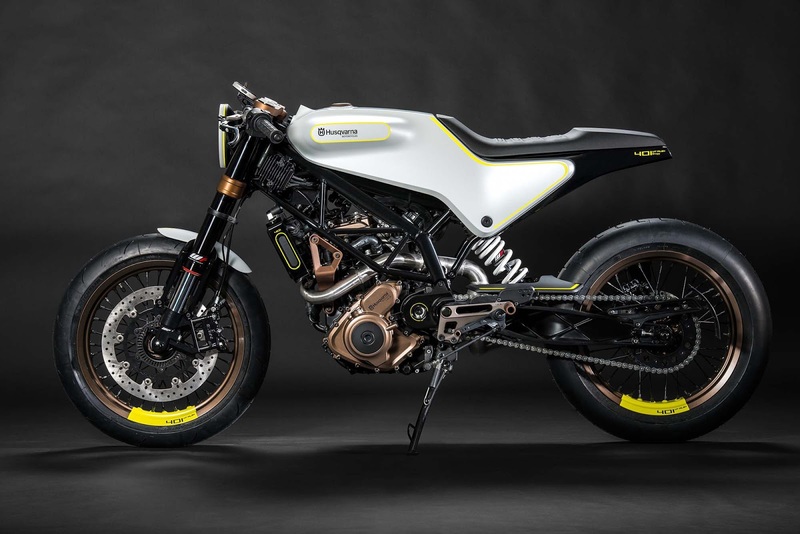 Husqvarna decided to unveil two concepts part of the same philosophy at Milan. 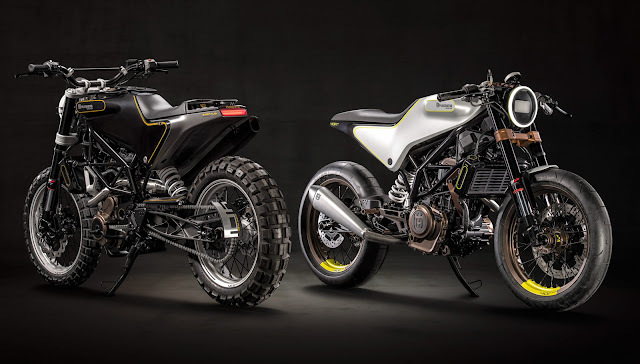 The 401 Vitpilen and Svartpilen were brought out and it’s easy to see the difference between them if you know Swedish. 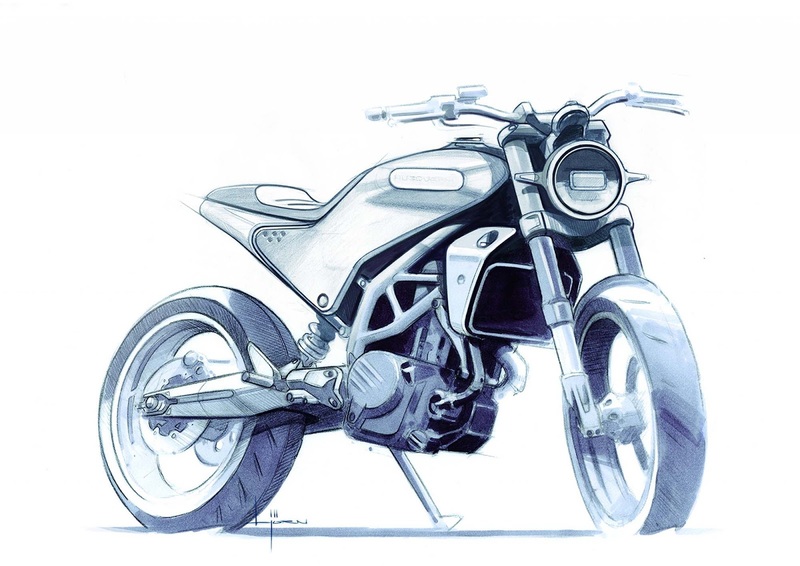 You don’t? 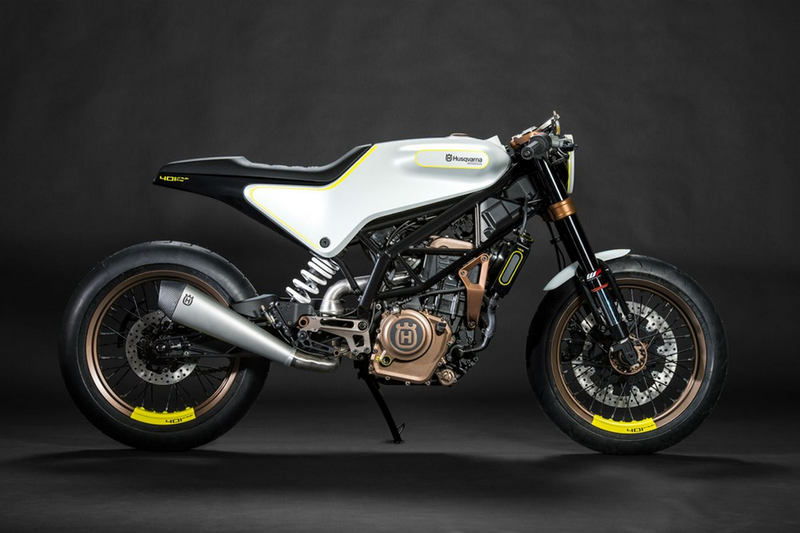 Well, we’ll tell you that Vitpilen means ‘white arrow’ and Svartpilen means ‘Black Arrow’. 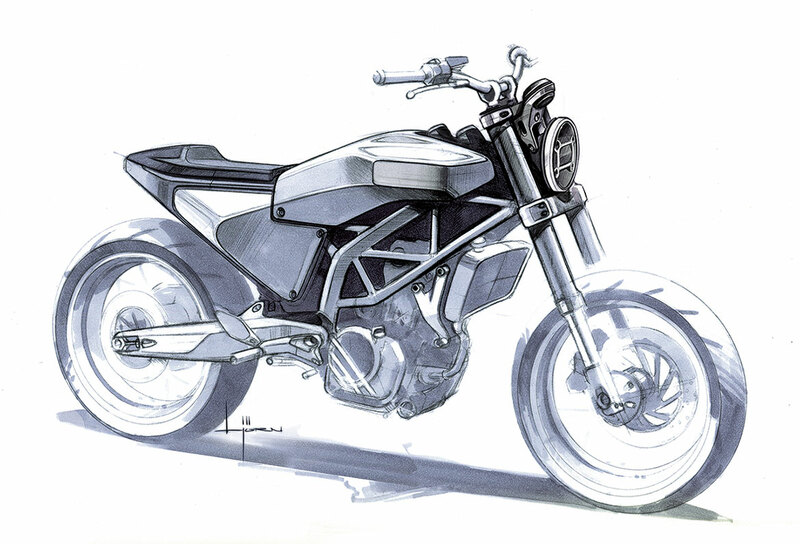 Makes a lot more sense now, doesn’t it?